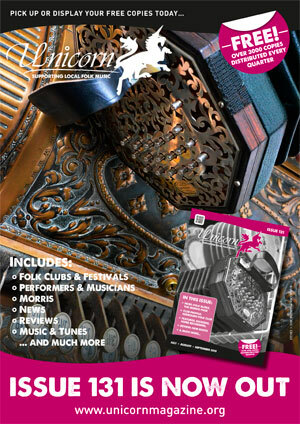 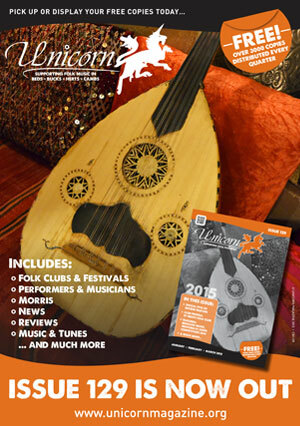 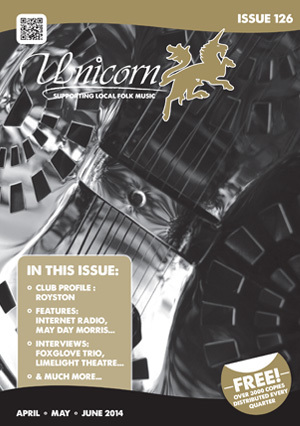 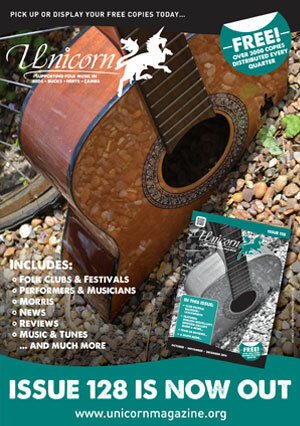 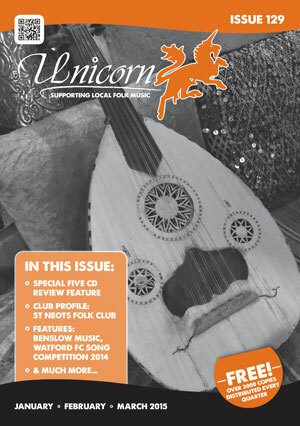 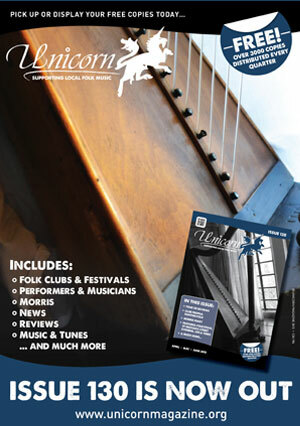 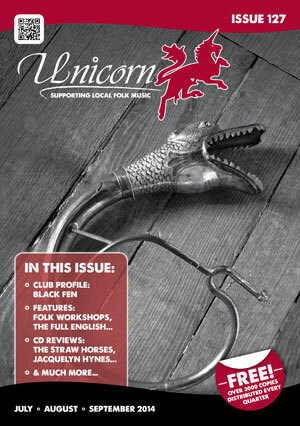 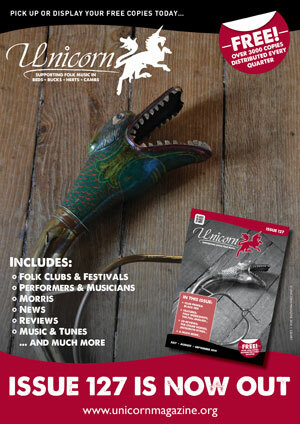 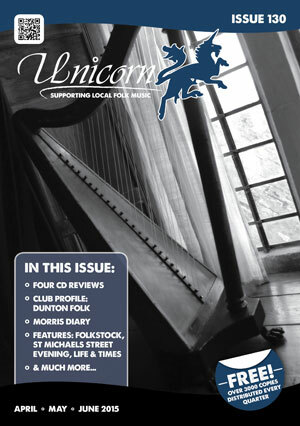 Unicorn Magazine Issue 125 is now out! 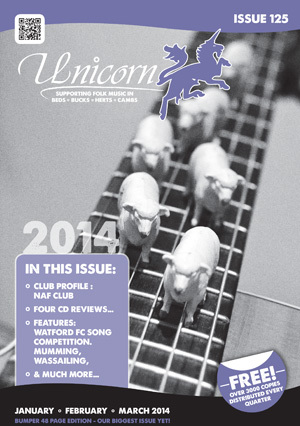 2014 gets off to a brisk start, with the launch of Unicorn Magazine Issue 125. 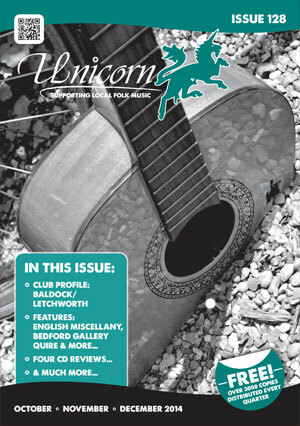 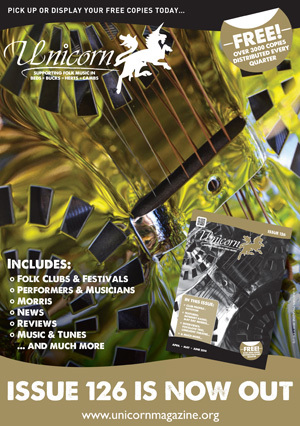 At 48 pages this is our biggest issue to-date, packed with a wealth of interesting articles and ads for folk music / folk arts in our area.